Arena is a place where you can fight other players' AI controlled characters with all you got! Battle for your rightful position in the Arena Rankings and claim handful items that will strengthen your characters! Your total V Points will determine your place in the Arena Rankings. 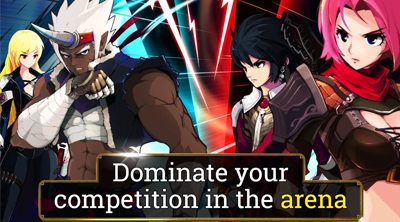 - Challenging a player with lower Lvl and Rank than you, will likely give you a higher chance of winning, but if you are confident enough to challenge a higher Lvl player, then you may do so. - You can wait for the "Until next update" timer to expire or pay 1 Zen for Instant refresh (optional). 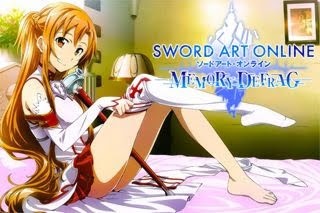 - You can get more Arena Tickets per day (at server reset). - 10 Tickets for the Leader, and 3 tickets for the other characters created under same account. So if you are wondering why you are only getting 3 tickets, the answer is you need to set your current character as Leader in the character selection screen first. - You can also hold on for a maximum of 20 Arena Tickets, but I suggest you consume some of them before the next reset. If you are looking for a place to get more [Accessories] and [Fairies], this is the right place! - Most items are grade D though. - As you accumulate V Pts, each tier or milestone you reach will allow you to obtain a nicely upgraded Accessory Coupons. - Aim for the grade A or B Accessory Coupons if you can, before the season ends (1 week). - If you login everyday and spend all Arena Tickets, you'll have 70 Tickets Total. - *For high Lvl P2P players, this is a nice option too for your Zen, the Arena rewards. - Season = 1 week, check the "Until End of Season" for the time remaining. 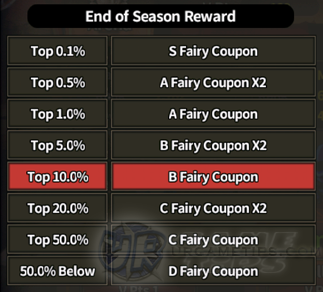 - Fairy Coupons will be given depending on your rank after the Season. - This is kinda hard for new F2P players, but the reward is based on percentage so keep going! - Still under AI PVP fight, but now you'll gonna fight 4 other players. - You can choose a partner, a hero that you own that you can summon during the fight. - Losing a battle will get you 1 strike, get 3 strikes and brawling is over for the day. - Being the last survivor of the match. - You will get various prizes depending on the number of wins you made. Check the (?) in-game for more information. - Being the last survivor of the match and ranked 1st for dishing the most damages. - Reach MVP 10 times to get more rewards. Check the (?) in-game for more information. You can also get more rewards by completing certain missions related to brawling (rewards depends on the current in-game event).